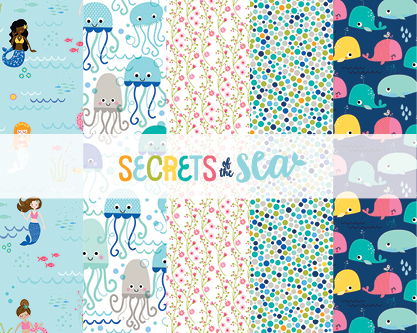 Secrets of the Sea is whimsical and nautical, mighty cute and adventurous! This richly colorful collection includes variety for both the little boy and girl fishies in your life including diverse mermaids and a handsome pirate! Enjoy counting waves and exploring the saltwater with Secrets of the Sea from Bella Blvd. Collection includes new puffy and epoxy stickers for embellishing!